My daughter is looking forward to the day when she will be able to start babysitting and earning her own money. Until then she can pretend to be the world’s best babysitter with the “Barbie Skipper Babysitters Inc. Doll and Stroller” playset. 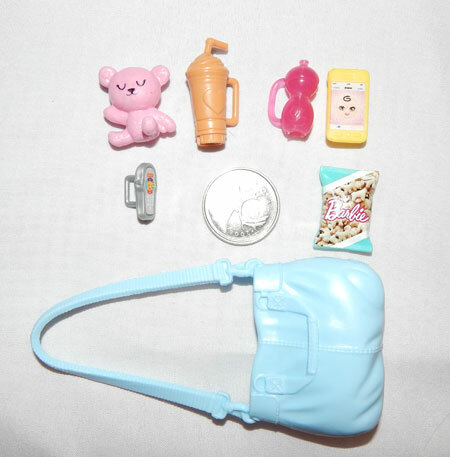 The “Barbie Skipper Babysitters Inc. Doll and Stroller” playset comes with Skipper, a toddler, stroller, diaper bag, teddy bear, latte, sippy cup, phone, snacks and toddler toy phone. The accessories are very tiny. There is a small hole in the top of the diaper bag that you can place the phone and snack in. Be careful not to slide them all the way in because they are very difficult to get back out. The diaper bag doesn’t stay on Skippers shoulder and there isn’t a place that we found to put it in the stroller. The stroller has a seat that bounces up and down as the stroller moves forward. The back wheels, which activate the bouncing, are difficult to roll. My daughter is disappointed in the bouncing feature. She finds that it only will work on a rough surface like a carpet. The purple stroller has handles that Skipper can hold onto and push the stroller along. There is also a little clip to hold the toddler doll in as the duo go for a walk. It doesn’t feel as sturdy as other Barbie products we have reviewed. Skipper has trendy bright purple streaks of colour in her hair. She is wearing a denim skirt and an emoji t-shirt. I love that she has a more realistic teen body shape. Her elbows and knees do not bend and moves at the neck, shoulders, and hips. 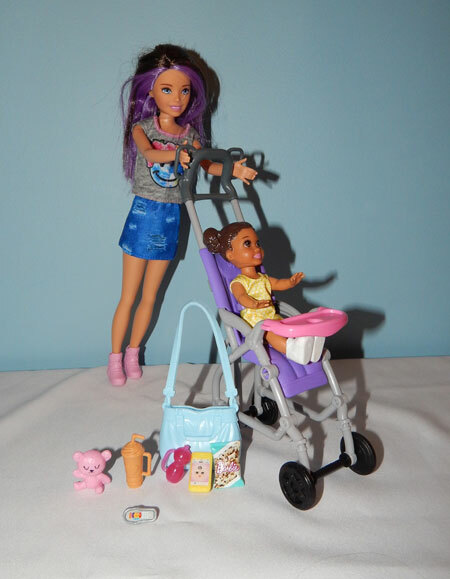 The “Barbie Skipper Babysitters Inc. Doll and Stroller” represents a “typical” teen doing an everyday job. It inspires my daughter to look for things she can do in her everyday life. 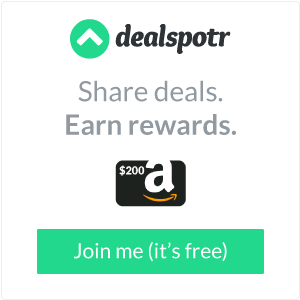 *Disclosure: I received a complimentary “Barbie Skipper Babysitters Inc. Doll and Stroller” through the Amazon Vine Program in exchange for my review. All opinions are 100% my own.